A look at preparations before The Queen or a member of the Royal Family holds an Investiture at Buckingham Palace. 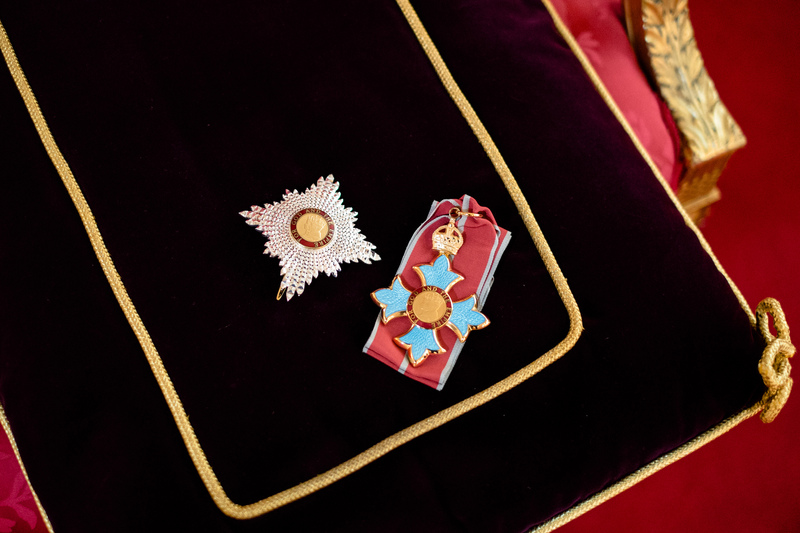 An investiture is the ceremony where people who have been awarded honours such as MBEs, OBEs and knighthoods come to Buckingham Palace to receive their medals from a Member of The Royal Family. The whole process is looked after The Central Chancery of the Orders of Knighthood. Many weeks before an investiture takes place, all the medals (called 'insignia') are collected, counted and thoroughly cleaned. 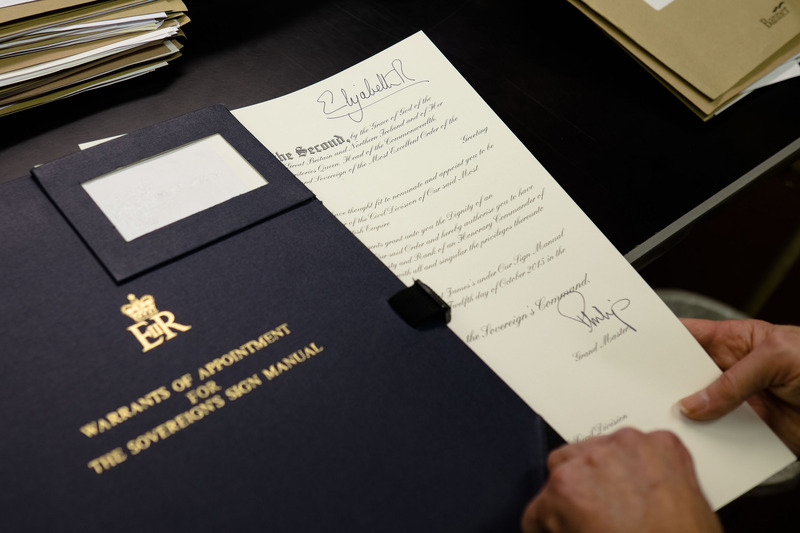 For some honours, certificates called 'Warrants of Appointment' are sent to The Queen, or another Member of The Royal Family, for signing. On the day of the investiture, the insignia are laid out in the ballroom and carefully checked. Each recipient is given a special pin to wear, so that their insignia can be easily hooked on to their clothing when the honour is awarded. The Ballroom is readied for recipients and their guests, ahead of their arrival at Buckingham Palace. Final preparations are being made in the Ballroom before guests arrive for today's #Investiture ceremony at Buckingham Palace, which will see high achieving people from across the community receive honours from The Queen, or a member of the Royal Family. We'll be sharing one or two of their stories later on today! 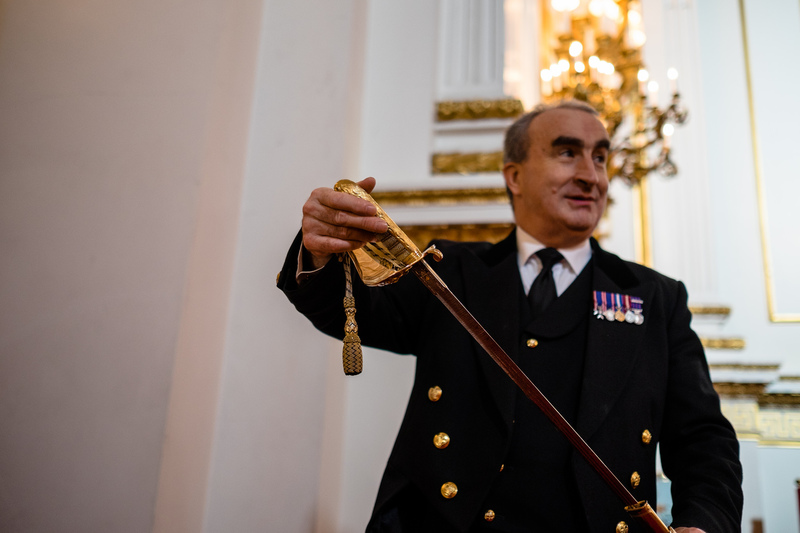 Each piece of insignia will be placed on a cushion before it is passed to the Member of The Royal Family awarding the honour. The Lord Chamberlain or Lord in Waiting will call out the name of each recipient as they come forward to receive their honour. He will tick off each name as he goes. After the ceremony, recipients gather outside in the quadrangle with their families and friends, where they can take photographs to remember the moment.